Mashable 's Erica Swallow is following her taste buds and passion by becoming the founder blogger for the City Winery blog ) at http://citywineryblog.com. Who would not like to follow their passions and we congratulate Erica on this move and for following her passion. 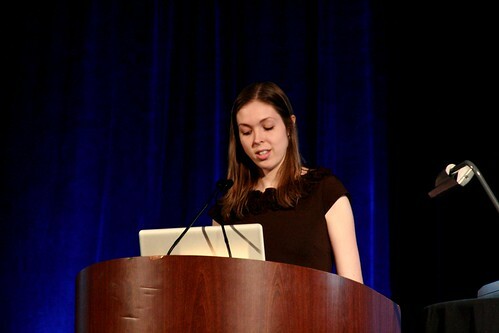 Mashable fans who follow her column will continue to see her post as a freelancer for Mashable. In a way I followed my passion too - from being a chef to a geek and of course still love cooking. If you have a passion, you need to pursue and go with it. Simply follow what your heart is saying. You need to act as soon as possible to make your dreams come true. I admire Ericka for making her dreams come true without any hesitations. I visited the blog and found some related and compelling posts. I am a wine enthusiast who loves to buy wine online. I think that her blog will be included in my daily internet routine.